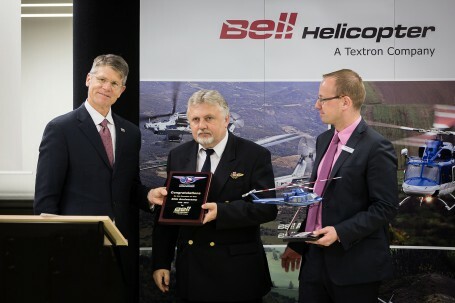 PRAGUE, Czech Republic (June 18, 2015) – Bell Helicopter, a Textron Inc. (NYSE: TXT) company, announced today the sale of the first Bell 412EPI in Europe to the Czech Police. The helicopter will be used for search and rescue missions and is expected to be delivered by the end of the year. The Bell 412EPI is backed by Bell Helicopter’s renowned in-service support, voted #1 by our customers 21 years running, and the company was recently voted best in the business in Vertical Magazine’s Helicopter Manufacturers Survey.